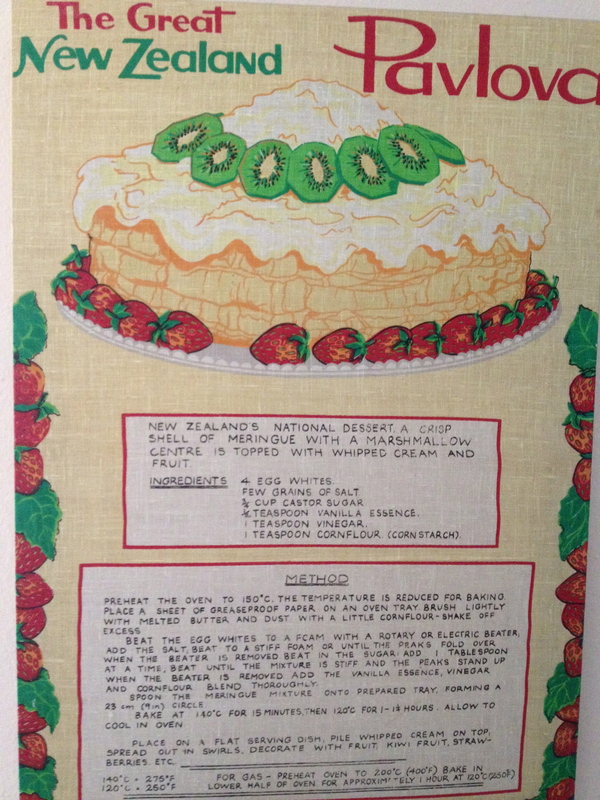 This entry was posted in Australia, Baking, cooking, Culture, Eggs, Food, food blogging and tagged Anna Pavlova, Australia, baking, culture, Eggs, food, New Zealand, Pavlova. Bookmark the permalink. This looks good, but a lot of work. I don’t think you could have an Australian desert without kiwi 🙂 Glad your son is enjoying his time in Australia. Really? It wasn’t that hard. I just never had the urge to make it before. 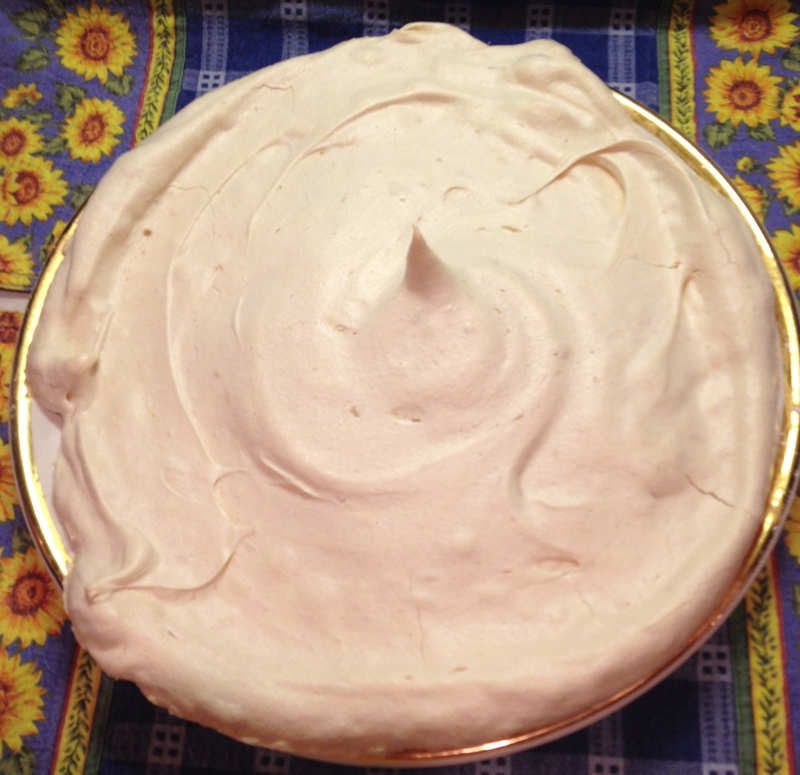 It’s a great dessert for a party or potluck. What a beautiful dessert! 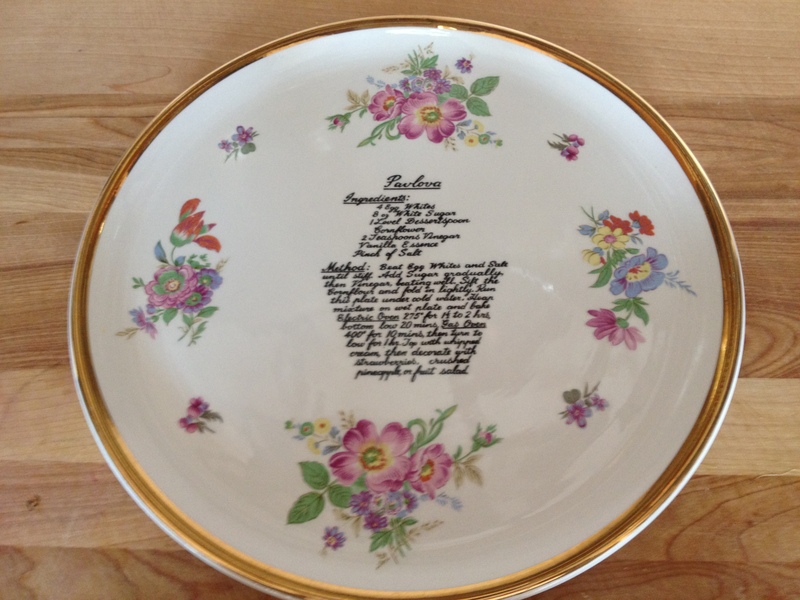 Such a beautiful plate and cute tea towel. Like you, I’m a sucker for baked egg whites too..meringues and macarons are my favourites. I know! 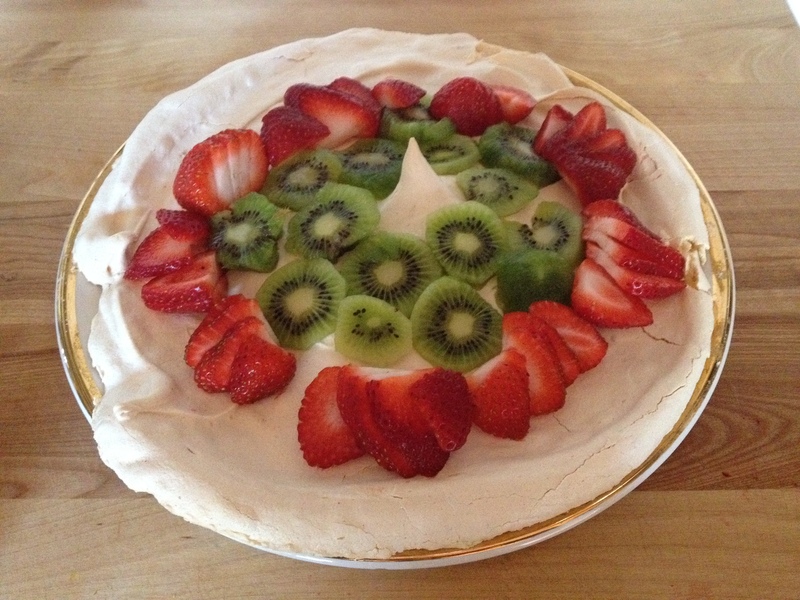 With such lovely kitchen accoutrements you think I might have made Pavlova sooner. This is deffo something I wouldn’t share with anyone if I had that cake in front of me! Lol! It looks absolutely beautiful!! Yum! thanks. since you are such an awesome baker you could ace it! Yummy and I have to give it a try too. You made it!! Wow! Great work! Where is your son staying in Australia? Does he need any help with anything? You are so sweet. 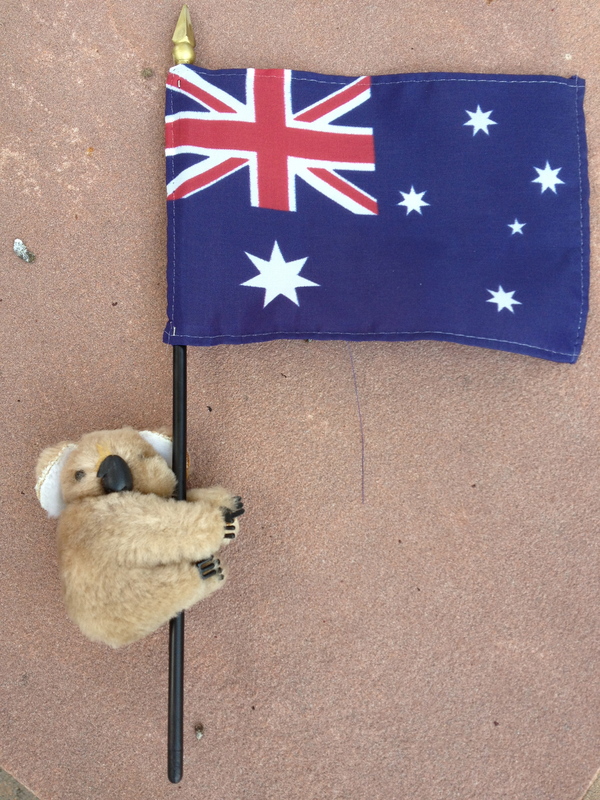 He lives in Queensland and is doing really well. He has been there working for one month now. It is an excellent for a party. Thanks for coming today. 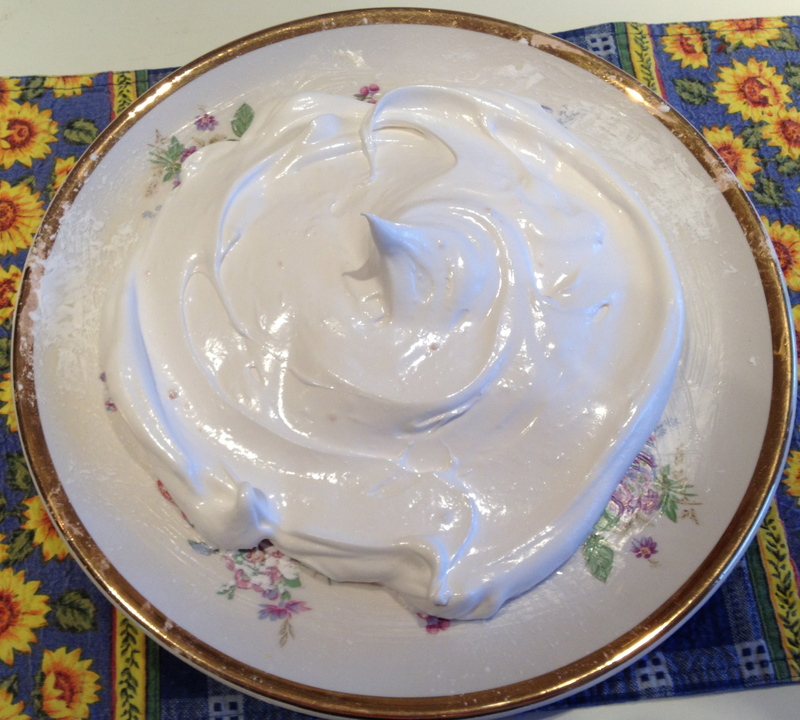 I love meringue desserts and am going to try your Pavlova over the long weekend – it looks yummy! Thanks for dropping by my blog. Have a wonderful Thanksgiving.